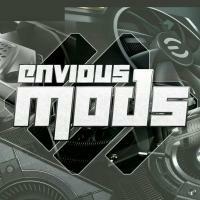 Showing results for tags 'envious mods'. The Concept: Addition To The Design: How It Came To be I came up with this idea a while back but didn't know how or when I would implement it. As time passed the idea went into my book along with all my other crazy ideas. After looking at some Be Quiet products on their site I came across the Silent Base 800. The bottom “skids” or feet were perfect! Exactly what I had been looking for. After exploring the idea further and taking some more looks at the Cooler Master MasterCase 5t; I realized it was the perfect candidate. My idea was to make it look like the MasterCase 5t and the Cosmos had a love child and named it, “SyNAPSE.” it couldn't have come together any better. Combining those designs cues with the ones found on the hardware and I have a complete build that is something I would want to own but doesn't exist. It will be an uphill challenge as mounting brackets will have to be custom made and more than likely 3D printed. Less than a week ago I saw the Cosmos 700 prototype and they ventured from the round skids or feet for ones that were more like the ones I will be using. This made the SyNAPSE build even better. Behind SyNAPSE: I've named this build SyNAPSE as it will bridge the gap between organic and mechanical. Sharing a lot of design styling from Gundam and other off shoots. The SyNAPSE case mod will be heavily inspired by Gundam. All of the popular movies and games we see on a daily basis were born from the original, "Mobile Suit Gundam." This dates back to the early 70s and has been a mainstay in Asia ever since. Gundam consists of the futuristic mech robots that have been adapted into a lot of different platforms. It has evolved into an extremely popular line of games, tv shows and movies. I want to go back to the roots of Gundam and adapt it to current day perspectives while focusing on the designs found throughout the hardware being used in the build. The combination will make this build one of the most cohesive builds I've ever done. Every detail from the hardware will be carried over into the rest of the build. CPU: Intel Kaby Lake i7 7700k Motherboard: Aorus Z270X-Gaming 9 GPUs: SLI Aorus GTX 1070 X 2 SLI Bridge: Aorus RGB Memory: HyperX Savage DDR4 16gb Storage: HyperX Predator M.2 - HyperX Savage SSD PSU: Be Quiet Dark Power Pro 11 (1,000 watt) Cables: Modular custom sleeved CableMod cables (red, black & silver) Fans: Be Quiet Silent Wings 3 (high speed) 3 X 120mm Alphacool Watercooling From ModMyMods: CPU Block: Alphacool Eisblock XPX (clear) w/custom red mount kit Pump: Alphacool VP755 v2 Radiator: Alphacool Eisbrecher Pro XT45 360mm Reservoir: Alphacools New Helix 250mm tube reservoir Tubing: Alphacool 13mm Satin Hardtube Coolant: Mayhems Opaque w/custom die Fittings: Alphacool chrome fittings Flow Meter: Eisflugal Acetal flow meter PWM Cables: Alphacool LEDs: Phoybia white leds Switch: Phoybia Vander switch (white) Top & Bottom Feet: Be Quiet Silent Base 800 Other Cables: CableMod sleeved PSU cable, ethernet cable, SATA cables and others Thumbscrews: CableMod anodized (red) LED Strips: CableMod RGB/W dual wide angle LEDs that work with Gigabytes RGB Fusion controllers.